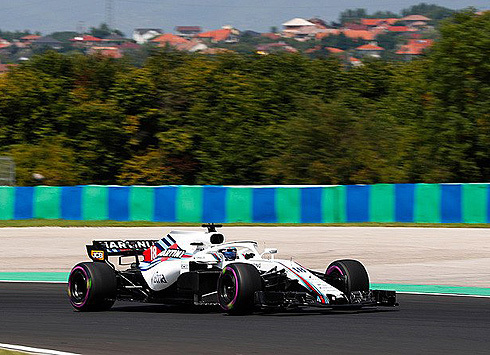 The final practice session for the 2018 Hungarian GP would see the Williams Martini team again finish down the times with their drivers in 16th and 20th. This time we would see Sergey Sirotkin finish ahead of team-mate Lance Stroll. Sergey would be 0.5 ahead of his team-mate. As for qualifying the prospects of either driver making it past the first period would seem to be very small. Another difficult session for the Williams team. 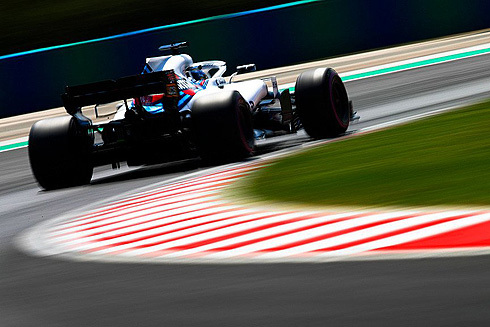 The final practice session for the 2018 Hungarian Grand Prix would see drivers come out on a mix of tyres with soft and ultrasoft the most common. The Red Bull's would use the medium tyre for their installation laps. The first time of the session would be set by Raikkonen with a 1m:17.110 using the ultrasoft tyre. He was followed by Sainz as both Mercedes took to the track. A 1m:17.057 from Raikkonen would see him remain quickest. A 1m:16.986 from Bottas on the ultrasoft followed by Raikkonen and Hamilton. Vettel would go quickest with a 1m:16.343 followed by Bottas, Raikkonen, Hamilton, Ricciardo, Sainz, Hulkenberg, and Gasly eighth. After their first runs the Williams drivers were in 17th and 18th. But we would see a Williams improve to be 13th. Twenty five minutes remaining in the session and the Williams drivers were now 14th and 19th. As drivers started to come out for their qualification simulations we would see Raikkonen set a 1m:15.455 to move into second using new ultrasoft tyres. Bottas was out on new ultrasoft tyres and would set a 1m:16.229 to go fastest. Hamilton was also on his simulation but he would spin at Turn six ruining his lap. Vettel would be out on new ultrasoft tyres and would set a 1m:16.170 to be fastest from Bottas and Raikkonen. Now we would have Bottas spinning at the same corner as Hamilton. He would slightly touch the barrier prior to continuing. The Williams drivers were come out for their qualifying simulations and would finish in 15th and 19th. At the front Grosjean was now seventh followed by Sainz, Magnussen, and Hulkenberg in tenth. With five minutes remaining the Williams drivers were in 16th and 20th. As the session came to an end the top ten would be Vettel followed by Bottas, Raikkonen, Hamilton, Ricciardo, Verstappen, Sainz, Hulkenberg, Grosjean, and Gasly. The Williams drivers would remain in 16th and 20th which was close to their Friday performances. For Qualifying it was not looking promising for either driver to get past the opening period. Lance would be first out for Williams running on the soft tyre. He would pit after a single lap. With just over forty five minutes remaining Lance would return this time on the ultrasoft tyre. Lance would set a 1m:19.386 to be sixth but no doubt he would drop down the times. He would drop to tenth as others set times. This would become thirteenth as he pitted after a seven lap run. He would quickly return still on the used ultrasoft tyres. He would pit again after a single lap currently 15th dropping to 18th. This would become 19th as his team-mate went faster. With fifteen minutes remaining Lance was back out for his qualifying simulation. Lance would set a 1m:19.132 but this would see him remain 18th but 0.1785 behind his team-mate. This would become 0.5 when Sergey went quicker. Lance would drop to 20th as the session came to a close. With forty five minutes remaining Sergey had yet to take to the track. He would finally come out with forty minutes remaining using the ultrasoft tyre. Sergey would set a 1m:19.659 to be 18th. A 1m:19.554 would see him 17th but he would drop to 19th. 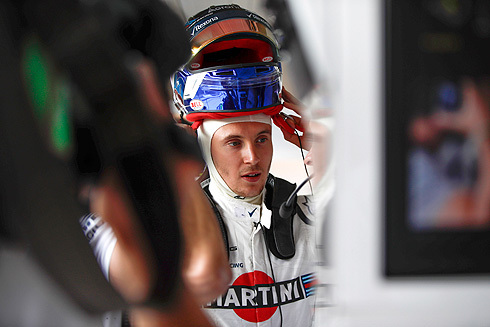 But Sergey would find time setting a 1m:18.957 to move up to 13th, dropping to 14th. Sergey would pit after an eight lap run. Sergey would join his team-mate out on his qualifying simulations. Sergey had dropped to 15th but a lap of 1m:18.630 would see him improve to be 13th. This would become 16th as others went faster.